One of the three chaya towns in Kanazawa, Kazue-machi chaya town has tasteful stone pavements and Sembon-koushi (wooden lattice windows). 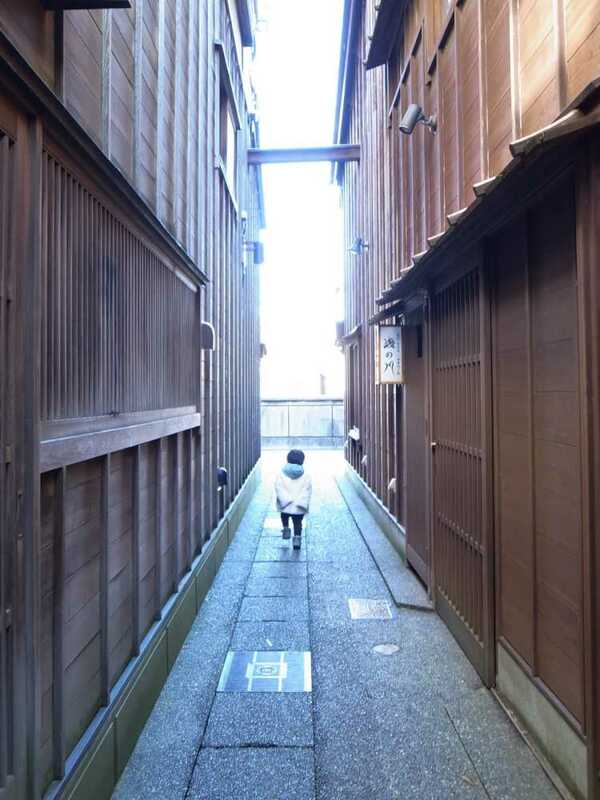 As soon as you enter the narrow alley, you can feel like a time travel to Edo Period. 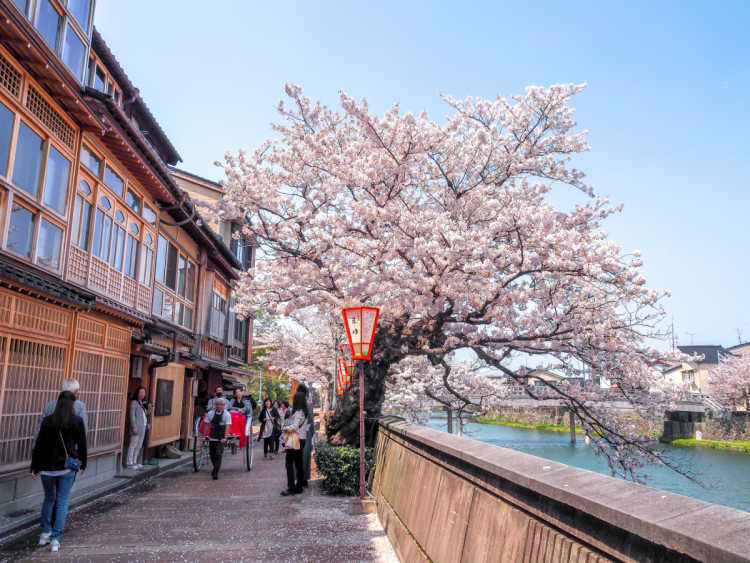 It becomes more tasteful in the season of cherry blossoms. You all shouldn't miss the scenery of both together in only spring. Kazue-machi chaya-gai is one of the three chaya gai in Kanazawa. Chaya-gai is the old name of an amusement center. Houses with beautiful latticed windows named Kinusuko. You can enjoy slow walking around the street. 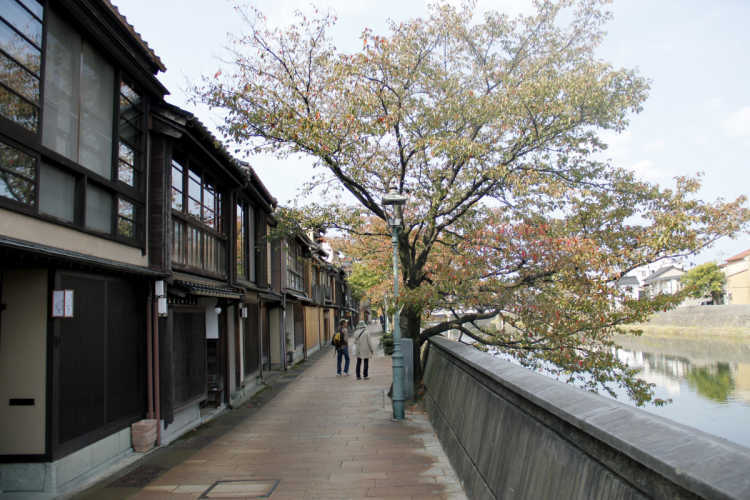 Kazuemachi Chayagai is located next to a famous Higashi Chayagai, but there're fewer tourists in Kazuemachi. We could enjoy exploring to find back alleys so much! I always walk around with Google in my hand, but it's better to walk without seeing anything here.